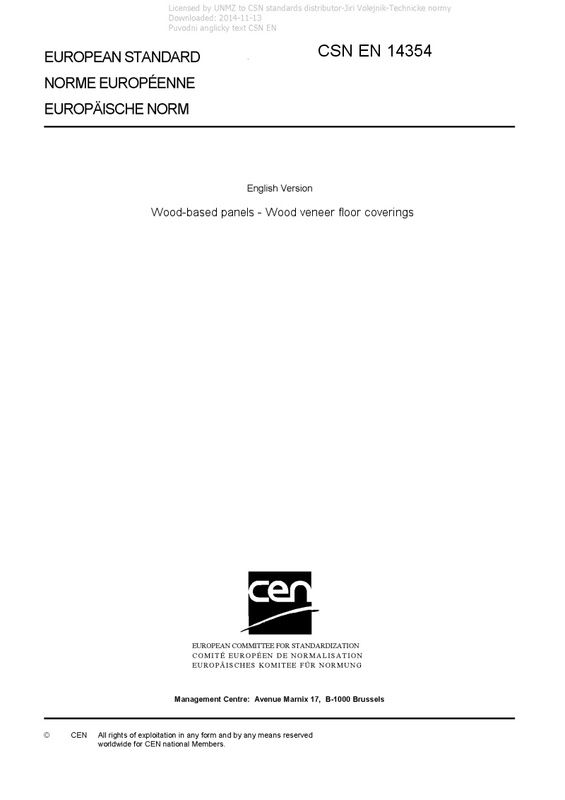 EN 14354 Wood-based panels - Wood veneer floor coverings - This European Standard defines terms and specifies requirements and test methods for wood veneer floor coverings with multilayer built up for internal use. It gives guidance for the evaluation of conformity of the products to the requirements of this standard. This European Standard is not applicable to multilayer parquet elements with a minimum top layer thickness of 2,5 mm. For these products EN 13489 applies.